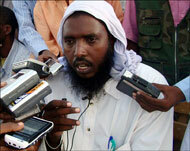 Sheik Hassan Yacquub Ali, Shabaab’s spokesman in Kismayo. A senior leader of the radical Islamist group Shabaab in the southern city of Kismayo has welcomed Osama bin Laden’s call to overthrow the government of President Sheikh Sharif Ahmed, and also said Shabaab would maintain its contacts with al Qaeda. Sheik Hassan Yacquub Ali, the Information Minister for the Shabaab-controlled administration in Kismayo, said bin Laden’s latest message was proof that al Qaeda and other Islamist groups continue to support the Islamist groups in Somalia, Shabelle reported. Yacquub made the statements during a press conference in southern Somalia. Yacquub also chastised Sheihk Hassan Dahir Aweys for rejecting bin Laden’s latest tape and said it was not helpful to oppose bin Laden’s message. “Somalia knows [its] future and who can involve, but it is not something for Osama Bin Laden and al-Qaeda either,” Aweys reportedly told an Arabic television station last week. Aweys is the leader of the anti-government Alliance for the Re-Liberation of Somalia-Eritrea and has direct links to al Qaeda. The senior leaders of Shabaab have had close ties to al Qaeda for years, and Shabaab and its predecessor have been al Qaeda affiliates in all but name. Sheikh Hassan Dahir Aweys, Aden Hashi Ayro, and Hassan Turki have trained in al Qaeda camps during the 1990s. 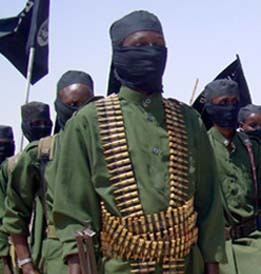 Ayro was the leader of Shabaab before he was killed in a US airstrike on May 1, 2008. 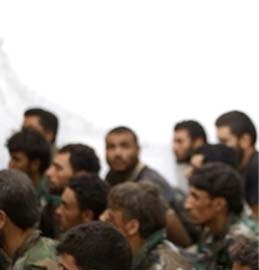 Turki continues to serve as a military commander and senior trainer for the terror group. Turki currently commands the Shabaab-linked Ras Kamboni Brigade, one of four groups in the Hizbul Islam alliance. Aweys, the former leader of the Islamic Courts, was identified by the US Department of State as a Specially Designated Global Terrorists in November 2001. Aweys participated in the infamous “Black Hawk Down” incident in Mogadishu in 1993. Robow, Turki, Sheikh Yusuf Indha’adde, have appeared on al Qaeda propaganda tapes training and fighting with foreign fighters. Both Turki and Indha’adde admitted to foreign al Qaeda involvement in Somalia in the summer of 2006. Indha’adde served as the defense minister for the Islamic Courts prior to its fall in 2007 and is currently a Shabaab commander in Mogadishu. Shabaab and the Islamic Courts have been sheltering of three senior al Qaeda operatives behind the 1998 attack on the US embassies in Kenya and Tanzania. Fazul Abdullah Mohammed, Saleh Ali Saleh Nabhan, and Abu Taha al Sudani have sought shelter with both Shabaab and the Islamic Courts. 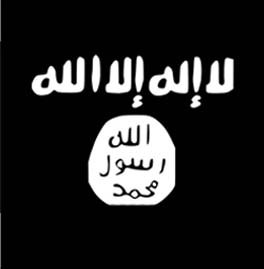 Fazul served as the intelligence chief for the Islamic Courts and is believed to hold the same portfolio for Shabaab. 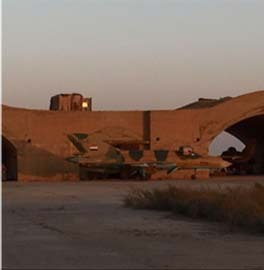 The US has targeted Fazul, Sudani, and Nabhan in multiple strikes in late 2007 and 2008. 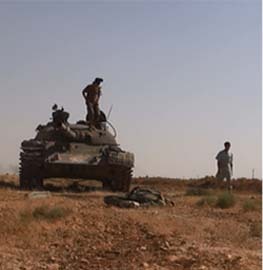 Sudani was killed during fighting in early 2007. Recently, the US Treasury Department applied financial and travel sanctions on three top leaders of Shabaab. The sanctions target Shabaab founder and emir Ahmed Abdi Aw Mohamed, recruiter Issa Osman Issa, and Robow. Al Qaeda has helped produced propaganda for the Islamic Courts and Shabaab and has even praised the group in its own propaganda tapes years ago. Osama bin Laden endorsed the Islamic Courts during a speech back in 2006. “We will continue, God willing, to fight you and your allies everywhere, in Iraq and Afghanistan and in Somalia and Sudan until we waste all your money and kill your men and you will return to your country in defeat as we defeated you before in Somalia,” bin Laden said. In September of 2008, Shabaab formally reached out to al Qaeda’s senior leadership in an effort to better integrate with the network and its strategic nodes across Africa and the Middle East. The effort came in the form of a 24-minute video that featured Nabhan. 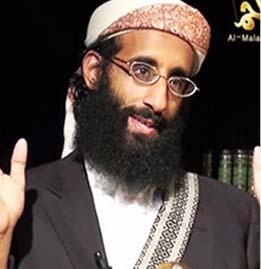 In the tape, Nabhan declared an oath of bayat (loyalty) on behalf of Shabaab to bin Laden and al Qaeda and encouraged fighters to train in Shabaab-run camps and participate in the fight against the transitional federal government, Ethiopian forces, and African Union peacekeepers. For background on the Islamic Courts and their time in power, see The Rise & Fall of Somalia’s Islamic Courts: An Online History. The only reason we are hearing of this link between Al qaeda and Shabaab is because the latter are getting more and more desperate. The only reason some Somalis might have supported them in the past is because of the Ethiopian occupation, but now since their only claim of legitimacy is gone, the Somalis will begin to tire of their foreign ideology and harshness. Already the new administration has stated that they will adhere to Islamic law in their establishment of a legal code, so Shabaab has no real reason to continue fighting. Eventually, Shabaab will be defeated because no one can rule the Somalis, not even the Somalis themselves have managed that. The only thing that might complicate this situation is if foreign troops are re-deployed to Somalia, thus giving Shabaab a new excuse to continue its attacks. Neo, I like your analysis of talking(arguing) foreign policy with a liberal. Very aptly put! The Thunder Run has linked to this post in the blog post From the Front: 03/23/2009 News and Personal dispatches from the front and the home front.